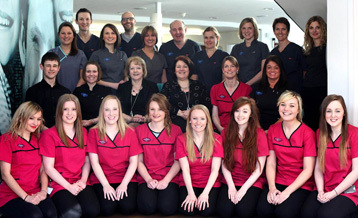 Langmans Dental Health Centres are family owned practices run by David and Anne-Louise Langman. The practices are located in the centre of Stratford Upon Avon and in the nearby village of Wellesbourne. Both premises are fully computerised with the latest in dental software and digital radiography and our purpose built, town centre premises in Stratford boasts excellent state of the art facilities. With a continual programme of modernisation and quality assurance you can be confident we will provide you with the most up to date treatment options to meet your needs. We take great pride in the quality of our dentistry. All our clinicians undertake regular postgraduate training and are registered with the General Dental Council (GDC). The practice also operates within the standards set by the Care Quality Commission (CQC) to ensure best practice.